Patey and sons outfitting is owned and operated by the Patey family of River of Ponds, Newfoundland, with a combination of members running the business. Our hunt price includes; license fee, transportation to and from our cabin by float plane, food and lodging accommodations while there (except for sleeping bags and personal items), also guide wages and transportation of meat from hunting lodges to your vehicle or place of butcher. Patey and Sons Outfitting have been providing Newfoundland big game hunting expeditions to non-resident hunters for 30 years. Eric and his guiding staff are true sportsmen and are very aware of all the factors that make a successful big game hunt. 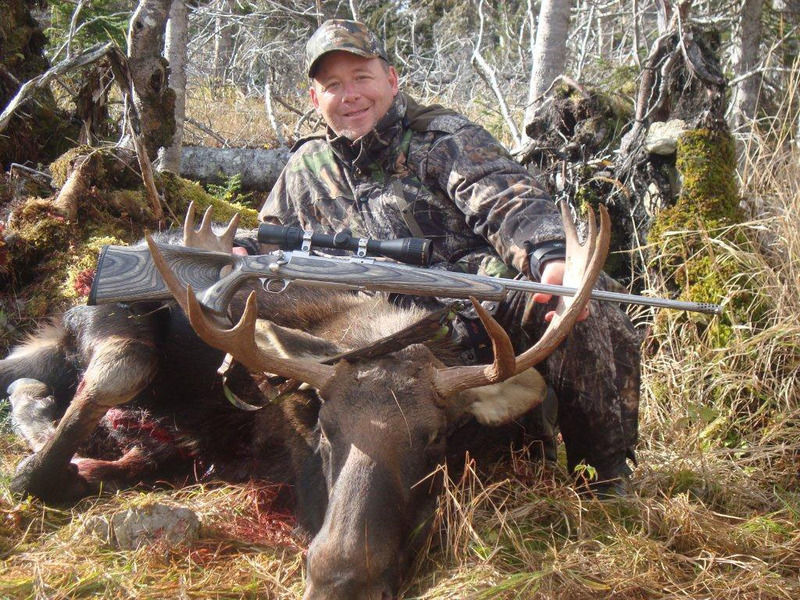 We have hunting locations in four of Newfoundland's most densely populated moose areas (Area 03, 39, 45 and 02). These areas are both inaccessible to local hunters and host huge numbers of moose and woodland caribou. The high numbers of repeat hunters with Patey and Sons Outfitting indicate we have many satisfied clients. We book between eighty and one hundred hunters per year and many hunters come back the following year while others book every second year. Patey and Sons Outfitting operate our own float plane and helicopter, checking on hunting lodges regularly (weather permitting). We have thirteen hunting lodges situated in the most pristine Newfoundland Wilderness. All of our hunting lodges are located at lakeside, in the midst of the beautiful long range mountains, to allow easy access by our float plane or helicopter.